Planning a family trip? 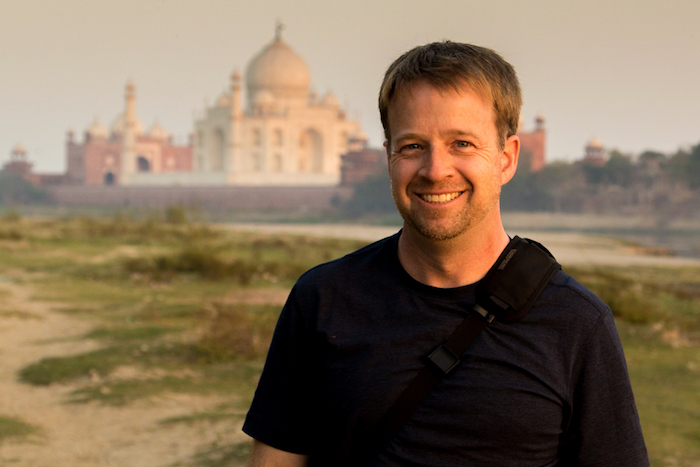 You should consult Eric Stoen’s incredible family travel blog Travel Babbo before you begin. Here’s a few things you should know about Eric: he’s is addicted to travel; he has two children that he takes everywhere with him; and he has family travel down to an art. On his blog he advises the best locations, hotels and experiences for making the most of the family holiday. Eric has learnt everything on the road: what to pack, how to keep the kids entertained on the plane and at the destination, and how to make the most of everything cities and locations have to offer. Here, we ask Eric our the hows, whys, whats and whens about family travel. They barely scratch the surface of the travel blogger’s knowledge but they’ve certainly relieved some of our fears and concerns around planning the ultimate summer holiday. What’s your no.1 place that should be one everyone’s bucket list? My favourite place in the world is Florence, Italy, so I think everyone should travel there at least once – and not as a day trip off a cruise ship! Go for a week, walk around early and late, feel the history, get lost, and stumble upon amazing un-touristy places to eat. Is there anywhere you definitely wouldn’t take your children? I wouldn’t take my kids to an active war zone or somewhere that seems inherently unsafe. There are so many amazing places in the world to choose from that there’s no sense being impatient and risking our safety. The more family you have the more you have to pack. Talk us through how you pack. What do we definitely need and what should we ditch? I’m not a great packer. I still let that tiny “what if” voice have a say as I’m choosing what to bring. My wife and kids are better. They all limit themselves to one packing cube wherever we’re going. I usually take two. I think the key is to realise that no one cares if you wear the same thing every day, and it’s easy to do laundry in a hotel sink. And no one ever brings more than three pairs of shoes – one nicer pair, one for walking/hiking, and flip-flops for the beach and pool. Ideally we can get that down to two if we’re not planning on dressing up, or going to beach. What’s the first thing you want to know about a new city? The food, the sights, the history? What do the kids love most about travelling? Coming back home! We always have fun when we travel – exploring new places, trying new foods, discovering favourite restaurants and parks and returning to them, getting into new rhythms for three weeks on Greek islands, etc… But then they love coming back home to what’s familiar, with their rooms and their animals and their friends. And I’m great with that. Every trip, and every experience, has shaped who the kids are, but I love that every trip also makes them appreciate home more. No long bus rides, no 3-hour meals and plenty of kids activities is how you travel. How did you get the formula right? Any frustrating experiences? Sure. You learn quickly what makes your kids thrive and what makes them complain. Travel should be all about the kids, so we book everything in a way to minimise the likelihood of anything going wrong (missed connections, weather delays, not having a taxi waiting, etc…) and we plan activities that everyone will enjoy. Plus some things are common sense, like choosing picnics over long restaurant meals, and skipping museums and other places that the kids just won’t appreciate yet or have the patience for. How do you take the pressure off? With limited time in a city, there’s pressure to see everything. How do you make it an enjoyable experience for everyone and make the most of a new place? Easy – we don’t feel the pressure! That city will likely always be there, and we’ll probably have the opportunity to return, and the kids will definitely have the opportunity to return. If there’s a list of 10 must-see attractions in a given city, we may only do two or three. But we’ll experience the city our way, and discover our own must-see places, and try the unique food, and we never feel like we’re missing out if we don’t do the big things. You’ve lived in Italy, Norway, Germany and the US. With visiting all these places are you ever tempted to up sticks and settle down somewhere else? If so, where would it be? We’ve looked into international schools in Italy and France, even touring several, but decided that we like our lives in California too much to move anywhere else. So we continue to visit Italy and France every summer instead. How do you keep everyone on the journey entertained? Are the kids used to long journeys by now? The kids are very used to long journeys! From the time they were three years old or so, 10-15 hour flights have been easy. 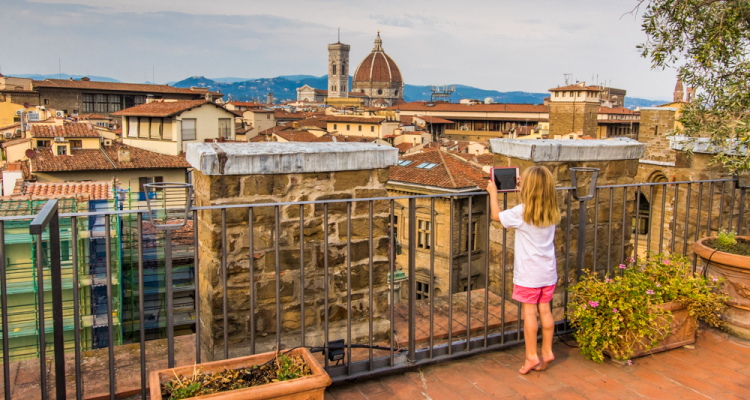 We let the kids download anything they want to their iPads/iPhones/Kindles – books, games, apps, television shows, movies, etc…, and I remind them a day in advance to make sure they’re prepared for the upcoming travel. Plus airplanes typically have good entertainment options as a backup, and we always take notebooks for games and sketching. Tell us about your favourite travel brands and why you’d recommend them. We search out hotels in amazing destinations that provide guests with unique experiences and, most importantly, that welcome kids. Tierra Hotels in Chile is great at that, as are the Six Senses resorts that we’ve stayed at. Four Seasons Resorts and Peninsula Hotels also do a good job of balancing luxury and family-friendliness. Do you or your family collect anything from your travels? Any favourite souvenirs? We do very little shopping when we travel. If we see an Italian kitchen gadget, or a unique Greek pitcher, or a perfect Mexican tortilla holder, we’ll buy it and use it, but there’s nothing we search out or collect. What’s the best thing you’ve learnt from travelling? I’ve learned that everyone is interesting, and everyone has a story to tell. It’s always worth conversing with the taxi driver, and the sushi chef, and the front desk staff at the hotel, and even the immigration agents. You never know what will come of it – it could be a great restaurant recommendation, or even a life lesson. Do you encourage your children to write about their experience too? I’d love for my kids to write up their experiences, but they don’t. Heck, my 10-year-old went around the world with me and we stopped in some amazing places, and she didn’t post a single shot to Instagram! I’ll keep trying to get them to write and photograph, but not too hard. Travel should be fun, and if they just want to soak it all in and not document anything, that’s fine. Tell us your favourite family recipe. I don’t think we have a favourite! My wife is an amazing cook, and between the inspiration she’s gotten as we’ve travelled around the world and the fresh produce from Southern California’s farmers’ markets, we eat very well. This summer, with some combination of the kids, I’ll be in Houston, Brazil, Russia (for the World Cup), Colorado, Belgium, Italy, Wisconsin and Orlando. And my 10-year-old son and I planned our own around the world trip in July, stopping in Greenland, Copenhagen, the Seychelles, Abu Dhabi, Mumbai, and Singapore, before returning to LA. WIN! One of Four Classic Sleeping Bags from aden + anais!